Recently on Inman News, there was an article that focused on millennials renting vs. purchasing a home. It discussed a book written in the 1960’s about investing in real estate. Although the nature of the book is outdated, the basic concept is, if you want to become a millionaire by the age of 65, all you have to do is buy $1 million worth of real estate in your thirties, with a 30 year mortgage and then pay the mortgages off over time. Now a millennial will most likely look at that statement and think it is absurd. With that being said, that statement is a very basic summary of the book. There are numerous ways to apply this concept. Some may require a great deal of effort, such as flipping houses, and other ways involve high risk. But another way is to just stop renting. To say “just stop renting”, can be a lot easier said than done. 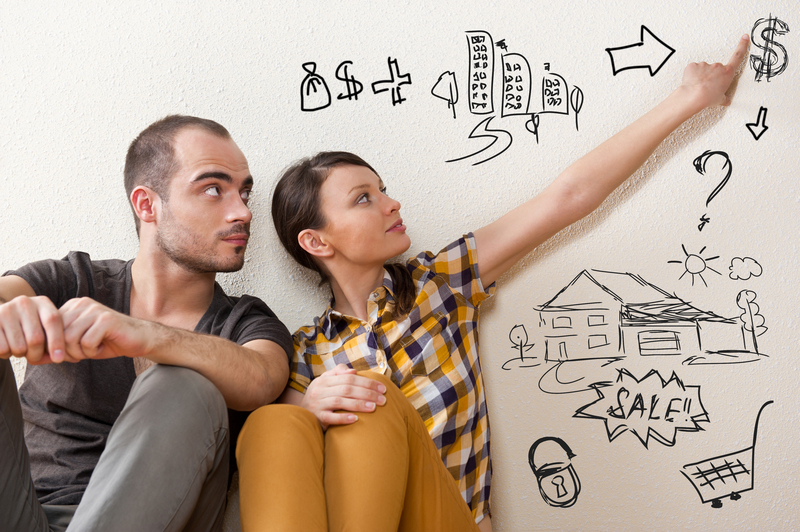 However, here are three helpful tips for Millennials on purchasing a home in 2015. 1. If you are waiting to purchase a home because you want to save a large amount of money for a down payment, the reality is; you don’t have to. The mortgage world is changing right now, for the better. Lender standards are regaining flexibility. Requirements for down payments are going down, in many cases, a down payment is only 3% of the sales price. In 2014, underwriting for self-employed borrowers was extremely strict, but now is moving back towards a reasonable standard. If you were disqualified by a lender last month, does not mean you shouldn’t re-engage this month. It is a new year, a new market and new guidelines. Millennials shouldn’t assume that just because they can research qualifications online, that they have the ability to self-qualify – or worse, disqualify for a mortgage. Researching qualifications online is a great start, but it is still extremely important to meet in person with a mortgage professional. 2. Search for a home that meets your needs today , your projected needs for a decade. Everyone goes through similar life cycles; you live with your parents/guardians, and then at some point you move out. Once you leave, you have a set of needs for housing, such as proximity to work, nightlife, transportation…etc. But then if/when you start a family, your housing needs will change. Mid-forties are considered the peak earning years, and frequently this is followed by the last move-up in housing. Mid-fifties can bring on the empty-nester era and downsizing to a smaller home. And then when retirement rolls around, a second downsizing may occur, perhaps in a different location. So when you do decide to purchase a home, you should plan ahead accordingly. 3. A home is not an ATM; a home is a long-term investment. The issues that arose during the housing bubble were due to the increase in the pool of buyers, and the thought that the souring appreciation would never end; so many people pulled out their equity (cash-out refinance) and used it to purchase assets, like cars and other depreciating items. If members of the millennial generation buy appropriate homes for a decade, pay mortgages on-time, don’t do a cash-out refinance, and move-up (or downsize), once they get to a certain age, they will own their own house mortgage-free. That is something no life-time renter will ever be able to say. Millennials most likely have large student loans, probably don’t want to take on more debt, and view renting as a flexible way to move anytime/anywhere. But as a millennial, it might be time to change your perspective, and start thinking long-term about your life. If you buy sooner rather than later, you won’t look back ten years from now saying you made a bad decision when you got the 30-year fixed rate mortgage under four-percent. If you are planning on moving or know of someone who is thinking about moving, then contact your local Homesale Agent for help. For more real estate information, please visit our Homesale website.